Tropical!! I CANNOT WAIT for summer!! 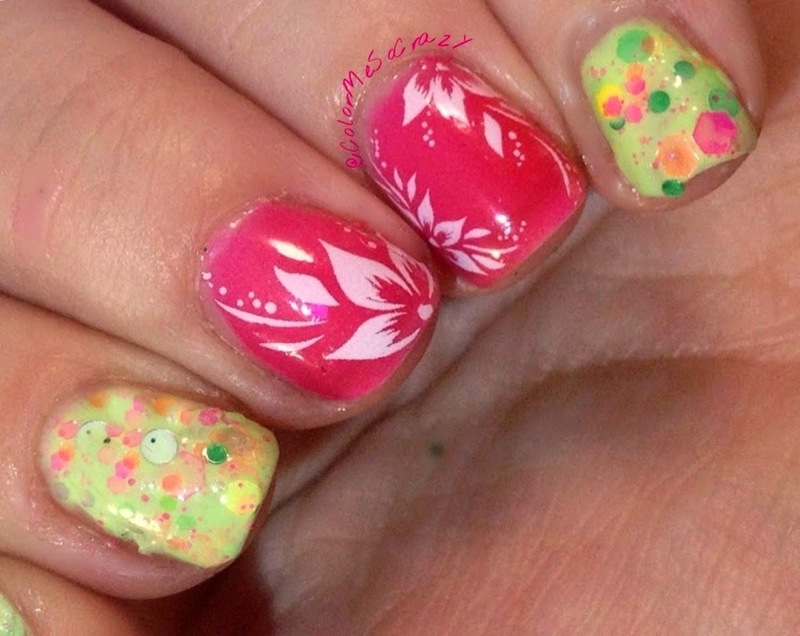 For this design, I really wanted to get myself into the bright, summery colors. 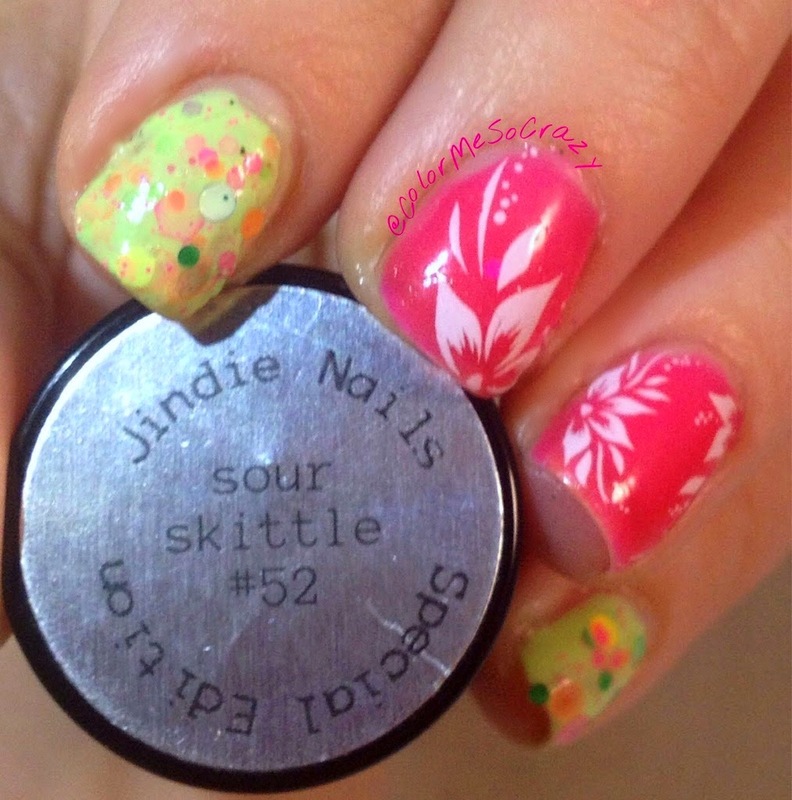 I used the LE Sour Skittles from Jindie Nails which has all kinds of lovely neon glitters and that great neon crelly. 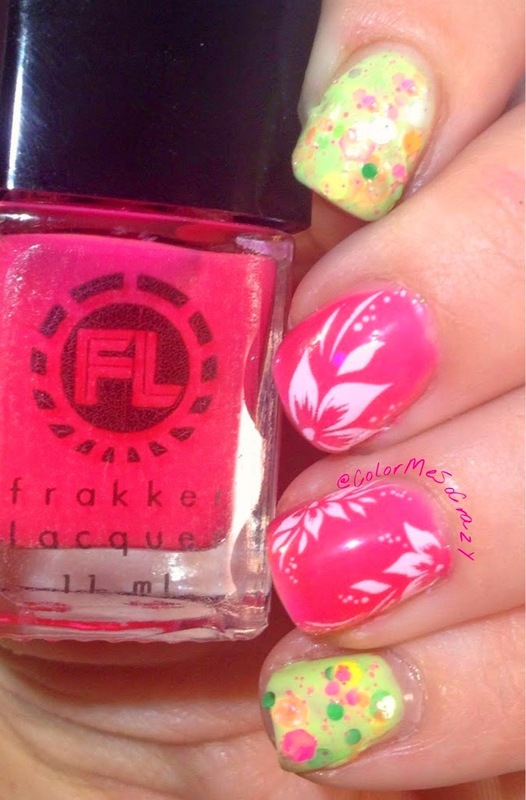 I also used this bright pink from frakker lacquer that I won in a giveaway. It is pretty much the perfect bright, neon pink jelly. 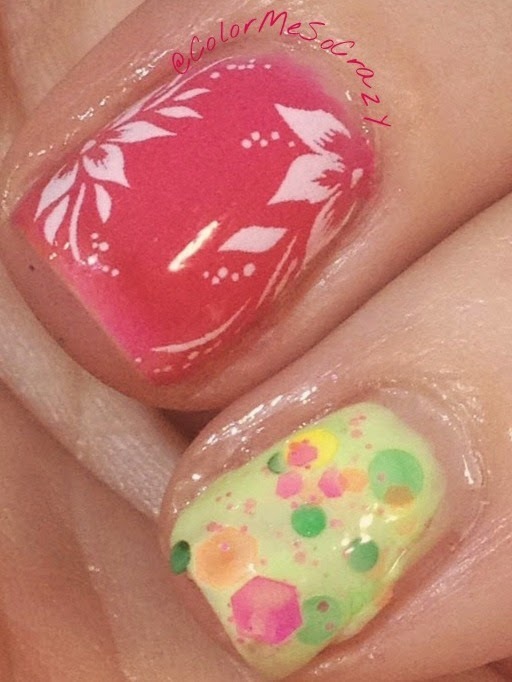 I was also able to use the Hawaiian floral water decals that I ALSO won in a giveaway. Lucky me!! 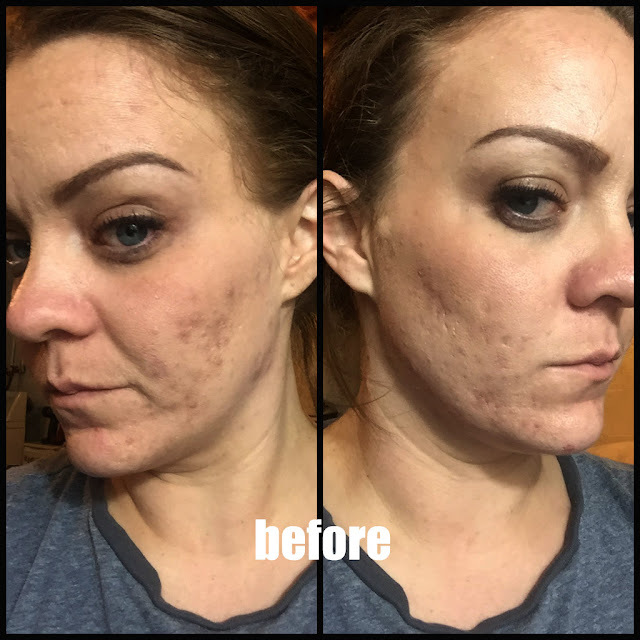 I am really happy about the way that this turned out. I got so many compliments on it. So, that tells me that a) my nails rocked today and b) I am not the only one that NEEDS the sun in my life. 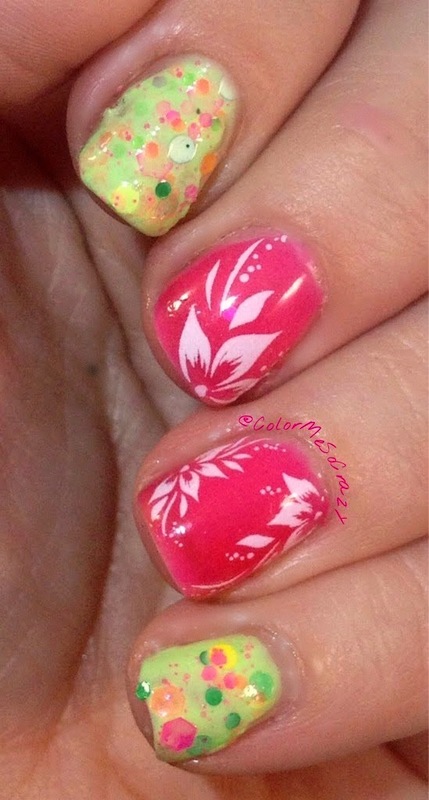 Besides awesomely neoned nails and great new summer polish lines coming, what are some of your summer favorites?? I am most excited about having my kids at home more, vacations, beach and getting my pasty white body in the sun. 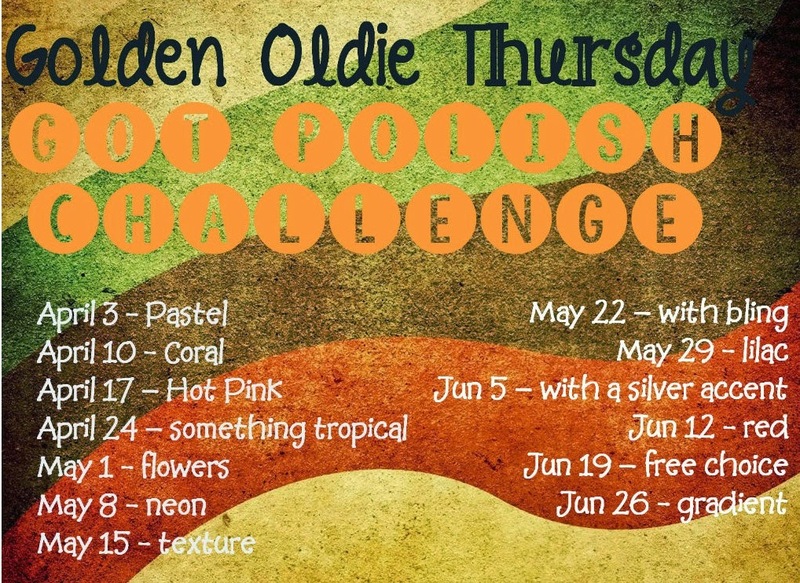 Stay tuned for next week when I am doing a FLORAL design. I am thinking that I may have to break out some more stamps for this.